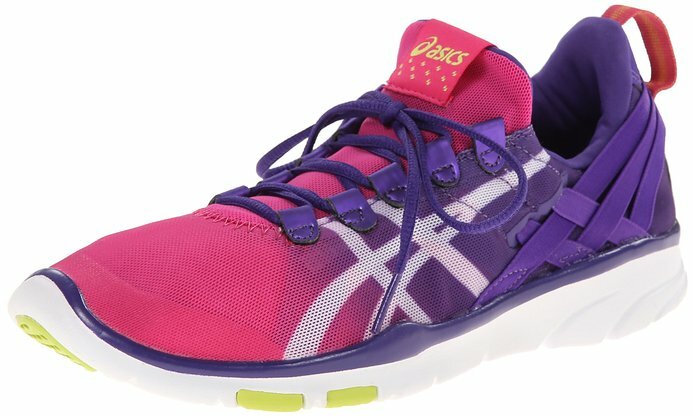 Made for women who enjoy diverse workouts, Asics Gel Fit Sana Cross Trainers provides comfort and endurance for women. The Asics website says the lightweight trainer is created from a soft mesh and external woven band heal cage with a rubber sole. The bands stretch from heel to forefront to provide a Flexible Fit system that conforms to needed areas and gives supports in multiple directions. The 5.6 oz Gel Fit Sana Cross Trainer has a light inner lining and stretchable Mono-sock in place of the tongue for a snug and secure fit without sacrificing comfort. These features coupled with the low-profile midsole provides a barefoot-like customized fit for the Gel Fit Sana. ASICS GEL-Fit Sana Cross-Training Shoe review! Asics claims to have spread cushioning and comfort from heel to toe on this trainer. The Rearfoot Gel® Cushioning System minimizes shock during impact and assists with a smooth movement to midstance in the Gel Fit Sana trainer. The AHAR®Plus Outsole gives support in critical areas while providing durability via a lighter high abrasion rubber. The flexibility of the Flexible Fit upper allows active movement with support and breathability. It also provides a low-profile platform for athletes designed to fit the workout whether it is dance, cardio, or weights. Reviewers on Amazon agree with most the manufacturer’s claims regarding the Gel Fit Sana such as having a sock-like fit, provide support and cushioning, as well as being lightweight. They brag on the style of the shoe and the variety of colors offered. Each Gel Fit Sana is a mix of three color combinations which could include black, mint, pinks, purples, blues, turquoise, orange or white. Some said they use the shoe not only for workouts, but for every day activities and on the job. Yet, many said the shoes are narrow or fit too tightly. 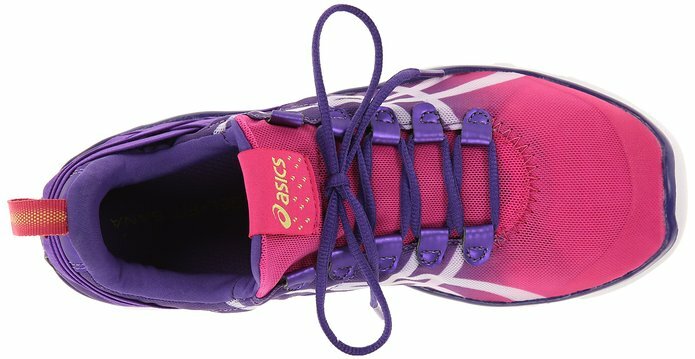 Several reviewers criticized Asics for the laces and Mono-sock, describing them as decorative only and being responsible for making it difficult to put on the Gel Fit Sana. Some reviewers stated they could not wear a sock with this shoe or could only wear a thin sock. To each his own though, as many praised the fit, saying they had no need for a sock due to the snugness. A few suggested trying a half size bigger than normal for this cross trainer. The insoles on the Asics Gel Fit Sana are removable for cleaning or replacement if a different one is needed. Asics does not recommend using a washing machine to clean these shoes but rather a brush or towel with mild soap and pressure. They recommend placing paper towels or newspaper inside to improve drying time and stated that using a dryer or direct heat source could alter the shape of the shoe.